Call AM PM Tree at (860) 346-2676 today for prompt service! AM PM Tree offers Emergency Tree Service CT in your area. We specialize in storm damage and hazardous conditions. Our tree experts are available when you need tree removal services without delay. Whether you have experienced heavy rains, a severe snowstorm, strong winds, lightning, or other catastrophic weather that has fallen a tree, we can help quickly. 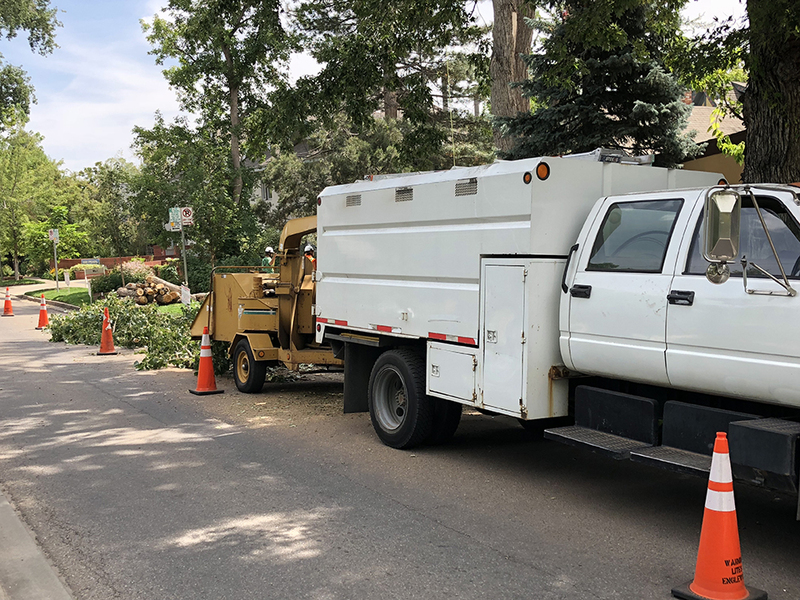 As soon as we are contacted by you, our tree service crews are sent to your location to begin surveying the damage, risk to your property, and any environmental hazards. As soon as our evaluation of the scenario is completed, our crews can begin removing any downed trees from your roof, yard, or other structures. If a fallen tree on your property hasn’t caused any extensive damage, we recommend that you still contact us. Our tree experts can thoroughly assess the situation and inform you of any potential problems in the future. We provide pre-storm tree assessments and post-storm cleanup. Storms can cause tree limbs or entire trees to fall. Oftentimes the tree branches, limbs, or the entire tree can land on homes, vehicles, powerlines, or other structures on your property. Storm damaged trees have significant weight, and are very dangerous to remove or trim. Our tree experts can perform the emergency tree removal safely, and minimize any further risk of damage to your home or business. Weather statistics show that Connecticut averages 20-30 thunderstorms a year, with the majority of the storms happening in the afternoon and evening hours in the summer. 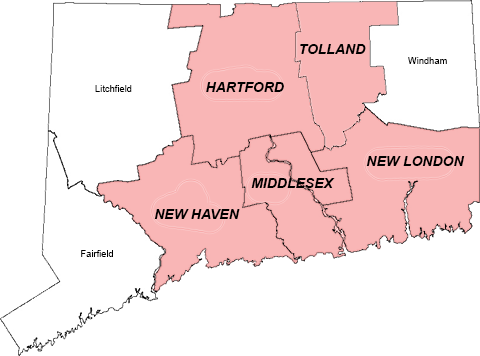 The most dangerous weather we experience in Connecticut is the coastal storms and “northeasters”, and sometimes hurricanes and tornadoes. We can help you with your tree service needs regardless of the type of damage you have experienced. 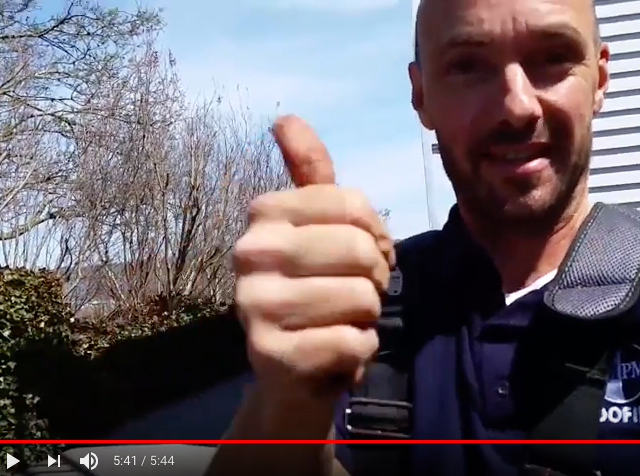 AM PM Tree has the experience, licenses, skills, and equipment to provide you with emergency tree service in Connecticut. 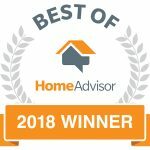 We have been providing expert home improvement services in Connecticut for over 30 years, and are a BBB A+ Rated Company. Call Now...Emergency Tree Service Today by the Professionals! Emergency Tree service in Centerbrook, Chester, Clinton, Cobalt, Cromwell, Deep River, Durham, East Haddam, East Hampton, Essex, Haddam, Higganum, Ivoryton, Killingworth, Middlefield, Middletown, Moodus, Old Saybrook, Portland, Rockfall, Westbrook CT. Emergency Tree service in Avon, Berlin, Bloomfield, East Hartford, East Windsor, Enfield, Farmington, Glastonbury, Granby, Hartford, Marlborough, Manchester, Newington, Plainville, Rocky Hill, Simsbury, Southington, South Windsor, West Hartford, Wethersfield, Windsor, Windsor Locks CT. Emergency Tree service in Branford, Cheshire, East Haven, Guilford, Hamden, Madison, Meriden, New Haven, North Branford, North Haven, Wallingford CT. 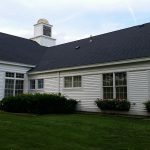 Emergency Tree service in Baltic, Bozrah, Colchester, East Lyme, Franklin, Gales Ferry, Gilman, Griswold, Groton, Lebanon, Ledyard, Lisbon, Lyme, Mashantucket, Montville, Mystic, New London, Niantic, North Franklin, North Stonington, Norwich, Oakdale, Old Lyme, Old Mystic, Pawcatuck, Preston, Quaker Hill, Salem, Sprague, Stonington, Uncasville, Waterford, West Mystic, Yantic CT. Emergency Tree service in Andover, Bolton, Columbia, Coventry, Ellington, Hebron, Tolland, Vernon CT.